Eddie ‘The Eagle’ Edwards, ski jumping legend and the subject of the eponymous ‘Eddie the Eagle’ movie spent an extended ski holiday in Courchevel 1650 this winter as guests of short break specialist tour operator, SkiWeekends, in its new chalet Monique. 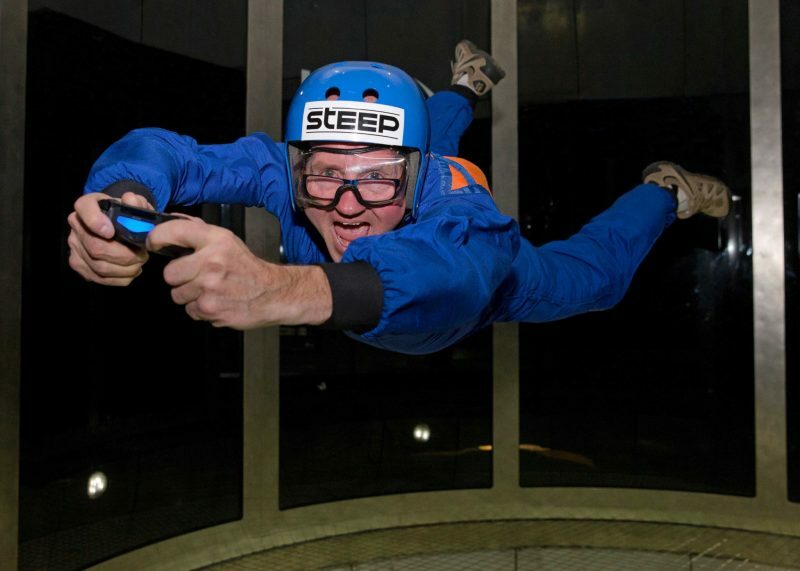 During his stay, he offered SkiWeekends exclusive access to a tandem ski jumping course that spanned two full days – the first, a dry land training session in the chalet and the second, a tandem experience with The Eagle himself, launching from the top of the 90 metre Olympic ski jump located in Courchevel Le Praz and used during the 1992 winter games. 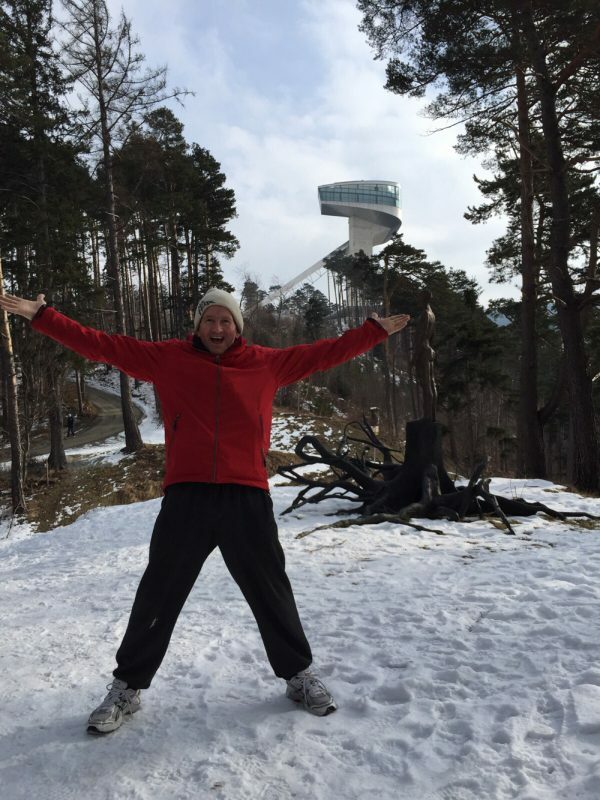 Three SkiWeekends guests took Eddie up on the offer, including 45 year old Abel Tool, who was the very first person in the world to experience a tandem ski jump. Strapped with a harness to the front of the famous ski jumper, they launched down the ramp reaching speeds of 70MPH, before flying through the air and making a perfect landing. Rather like a tandem skydive, but way cooler. Tool said afterwards: “I always wanted to fly like the Eagle, ever since I saw Eddie jump in the 1988 Winter Olympic Games in Calgary. It was very scary but amazing too, I only hope they make a film about my life now”. 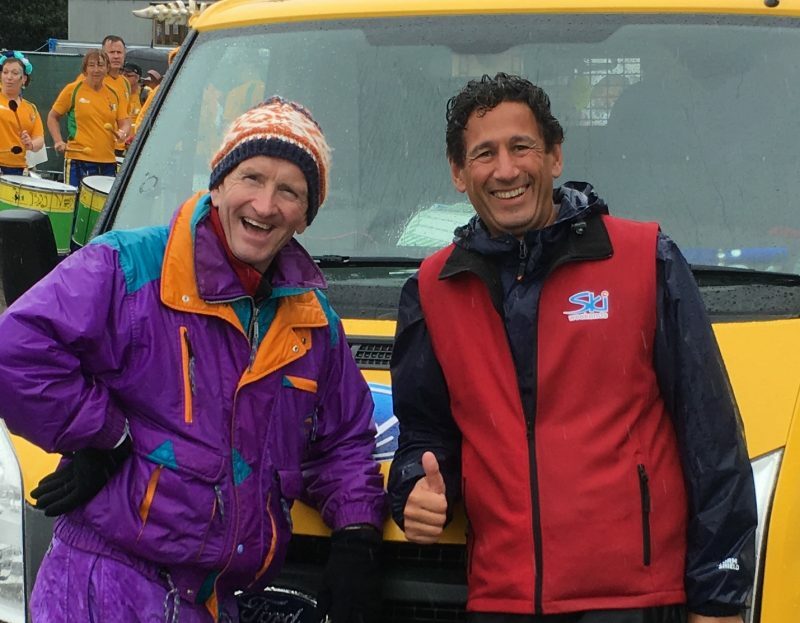 The mastermind of the tandem ski jump, Dan Fox, Managing Director of SkiWeekends (Pictured above with Eddie after the successful jump), said: “It took some time to persuade Eddie that this was a good idea, but when he saw the potential he went for it. I got personally involved in the training sessions and thanks to our staff and their fantastic baking skills, we managed to get three people prepped and ready to jump in just over a day. Eddie wanted me to be the first, but I knew it wasn’t for me to take that honour. Our guests absolutely loved it, hopefully it’s something we can offer everyone in the future”.